Apoteka is a unique Gastropub, LIVE music bar in Bangkok on the thriving Sukhumvit 11. We have an incredible collection of professional bands playing Blues orientated music. We serve contemporary thai and western cuisine as well as pub snacks and munchies. Music is an integral part of our existence as a gastropub, and just like wines, Apoteka offers a variety of music for our guests. Come experience live music with us every day of the week, starting from Blues to Jazz and from Slow Rock to Pop. At Apoteka, we simply love to spoil our guests by providing one of the most incredible menus in Bangkok. From finger food to pizzas, calzones and from Traditional Thai to International cuisines, we have got you covered! The atmosphere at Apoteka is always bustling with live friendly gigs from local and national bands seven days a week. 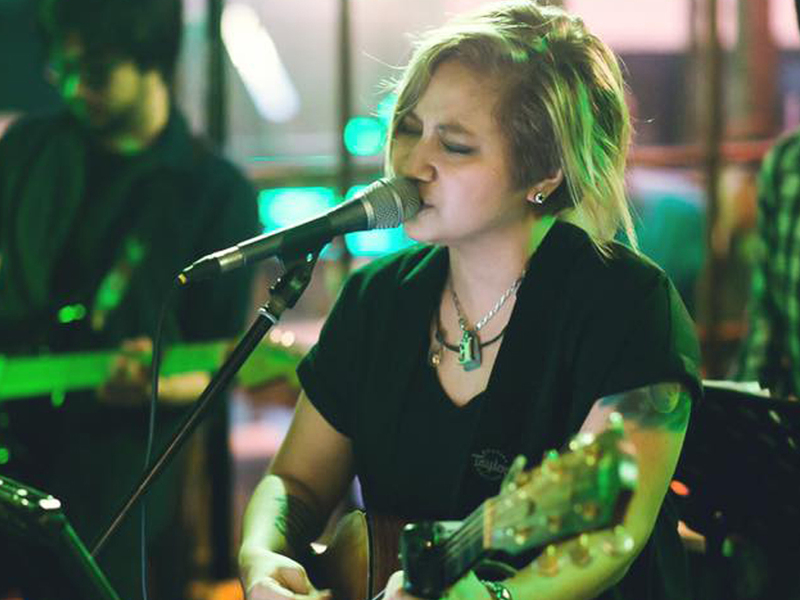 Starting from our house favorite Blues to Slow Rock, Indie, Acoustic, and more, we would make sure your foot keeps tapping! 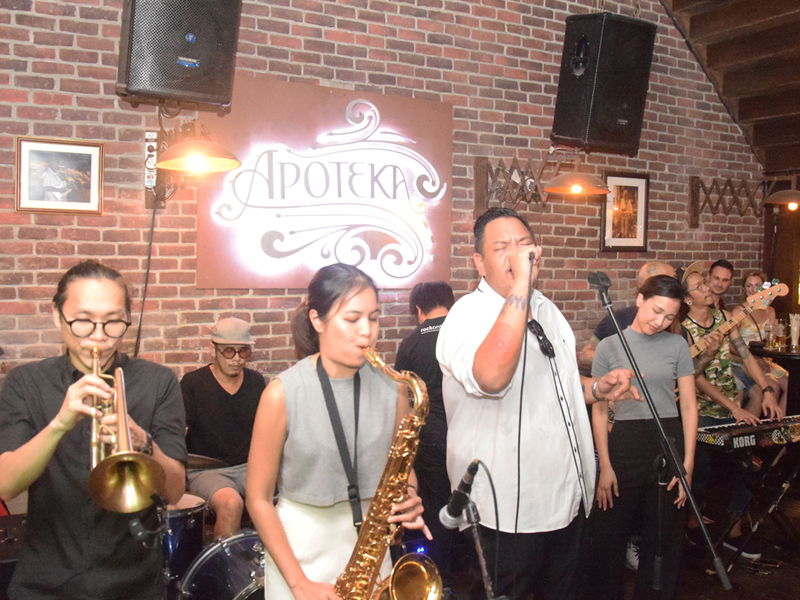 Apoteka Bangkok is located on Sukhumvit Soi 11, which in the last couple of years has become a heaving cacophony of trend setting nightlife venues and eateries. On the weekends throngs of people literally fall out into the street to migrate from one venue to the next in a National Geographic worthy spectacle. 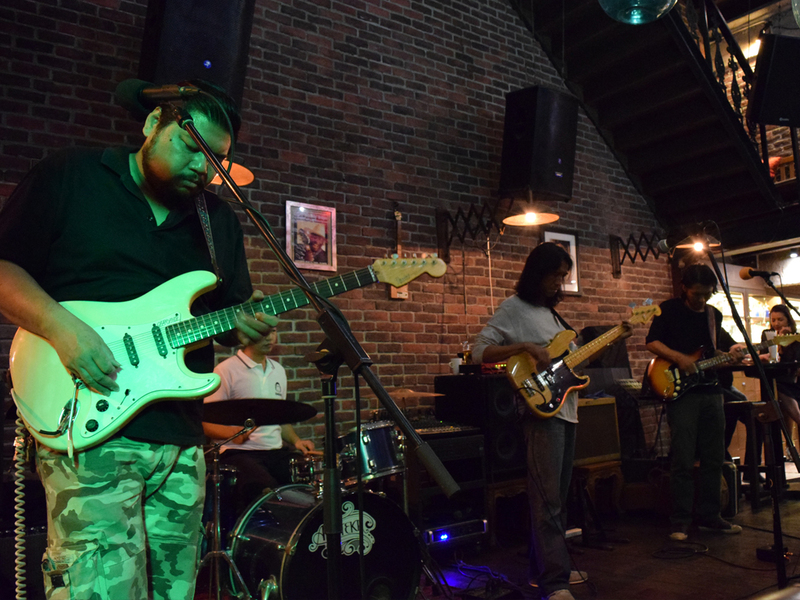 Apoteka is located just around the corner from much of the chaos and has established itself as a leading live Blues venue in Bangkok, with professional foot-stomping bands playing every night of the week. Its sprawling outdoor deck and open plan bar let you enjoy the endless activity on the street as well as the live music inside. The interior’s unfinished quality and vintage detailing evoke a mysterious, den-like vibe reminiscent of an old Victorian apothecary. Hence the name. The menu boasts a selection of unique cocktails such as the Ambien and Melon-Cholly Hill, a collection of craft beers, and a tantalising assortment of dishes to comfort the soul. We hosts full live bands throughout the week that offers an immersive, nostalgic and musical experience. The energetic and enthusiastic vibe at Apoteka will catch up with you as the intensity grows through the night. 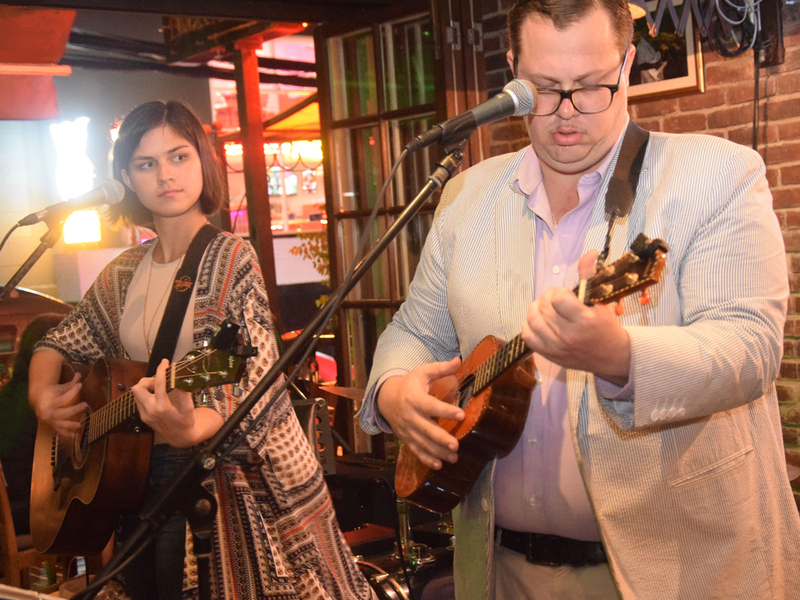 From soft Blues to Slow Rock, and more, we aim to please your senses with all the right ingredients – Delicious Food, Tantalizing Drinks and Live Music. 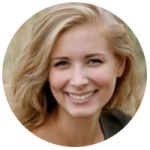 Apoteka hosts solo acts by popular local and nationally acclaimed singers. It offers an experience that’s sure to give you Goosebumps. Listen to the old favorite classics or the new sensational numbers in an atmosphere that is full of energy and positive vibes, colored beautifully by the amazing crowd.  We ensure you leave with an unforgettable experience! Take the BTS to Nana Station and enter into sukhumvit soi 11, travel till the end of the soi and turn left, and approximately 30-40 meters down the road you will see on the left hand side of the street “Apoteka” with a Pharmacy ‘+’ sign in neon green! You may also input the shop name “apoteka” into google maps and it will guide you to our front door. What kind of food and drinks are served at Apoteka? As a standing gastropub, we serve contemporary thai and western cuisine as well as pub snacks and munchies. We are quite well known for the following dishes; Yum Gai Thord Krob, Bai Krapaow Pizza, Pasta Carbonara, Rib Eye Steak, Lamb Chops, Pan Fried Snapper and lots more. Can we book for special events, birthdays and parties? Yes, we do take bookings and reservations for anything from special small events to big events. If you’d like to book the entire place out for the evening, we will be more than happy to assist, and help you plan your function.